The King George V stamps were produced over a 25 year time frame - 1910 to 1935. 1. 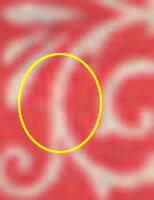 The watermark - Either Multiple Crown CA or Multiple Script CA. 2. The Definitive Keyplate Die - Either Die I or Die II. 3. The color - unlike earlier issues, there is a lot of color variation because there were a number of printings. This article will attempt to help you identify your stamps by describing what to look for in these areas. Where they are used, the catalog numbers are from the 1980 Commonwealth Five Reigns Catalogue (CW), and the 2013 Stanley Gibbons Stamp Catalogue (SG). If you would like to obtain a copy of the Commonwealth Catalogue, please contact Bridger & Kay. 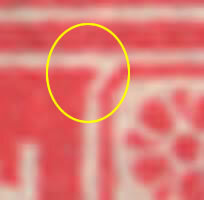 One of the problems with finding watermarks on older stamps is the previous treatment of the stamp. 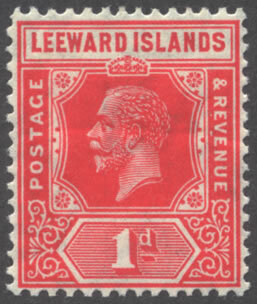 Classic stamps are often found with hinges still attached, or in some cases with paper still adhering to them. 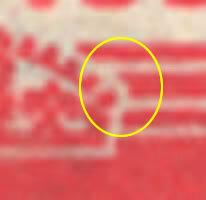 When you are trying to determine the watermark, look for the CA at the bottom or side of the stamp and note whether it is a block letter or a script. 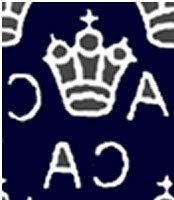 If you can't see the letters, note the shape of the crown. The curving top of the MSCA Crown is pretty distinctive even if nothing else is visible. So even if you are unable to clearly see the entire watermark, it is possible to determine what stamp you have from this process. 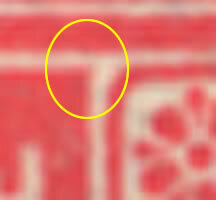 Several ways to identify watermarks are available. I place the stamp on black paper under twin spotlights that are on opposite sides of my desk. In many cases this is enough to allow the watermark to be seen. For tougher cases, I will hold the stamp up to a light and move it around hoping to just see the letters. There are also colored filters that can be used for stamps on colored paper (yellow seems to be the most difficult one.) Finally if all else fails, you can dip the stamp in a watermark fluid. I try to avoid this process because it is a chemical, and some can be dangerous to breathe. So if you do this often, look for a safe fluid. It is typical to find Die I stamps with MCA watermark, and Die II stamps with MSCA watermark - but there are exceptions, so read your catalog carefully before deciding on the printing. 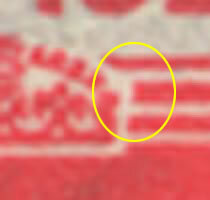 All three are visible on both the right and left side of the stamp. 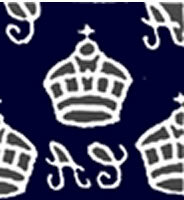 The second line to the right or left of the crown. It is angled in Die I and is straight in Die II. & REVENUE. Die I is squared off on the inner side. Die II is rounded to a point. The lower scrollwork on Die I has a bulge on the outer side just before it branches out. There is no bulge on Die II. 1. 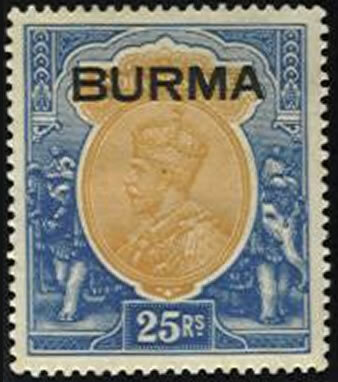 Different Printings of the same stamp were created using inks that were similar in color, but not an exact match. This was a very imprecise process before the computer age. 2. Poor Storage and Tropicalization also causes colors to change. 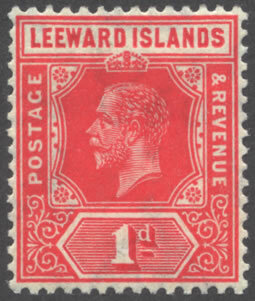 These variations are defects and stamps that show this affect should be considered defective. Look for brownish paper and toning. If you are looking at stamps that have been stored in a reasonable manner and have not been affected by high humidity, they should be compared to each other to determine the color. Where there are several printings, I try to accumulate a number of stamps and compare them to each other. Typically, I use my spotlights and put the stamps on either black or white paper so I have some contrast. Without consulting a catalog - sort them into color piles based on the other stamps. When you are finished, look at what is different about them - paler shades of color, deeper shades of color, etc. You can use a color chart to help you determine the relative differences between the shades of red, green, blue, etc. Stanley Gibbons makes a good one, or you can obtain a professional color palette, but that is probably overkill for this purpose. Many of the King George V issues were printed more than one time, so you will find color variation. You will want to have some good comparison issues available to help you sort them by color. This article was written to help you identify your stamps. Please feel free to ask a question, or include a correction - use the link below to send an email. If anyone is interested in forming an Internet Study Group for King George V stamps, I would like to join the group. Classic Stamps for sale based on the identification from this article.